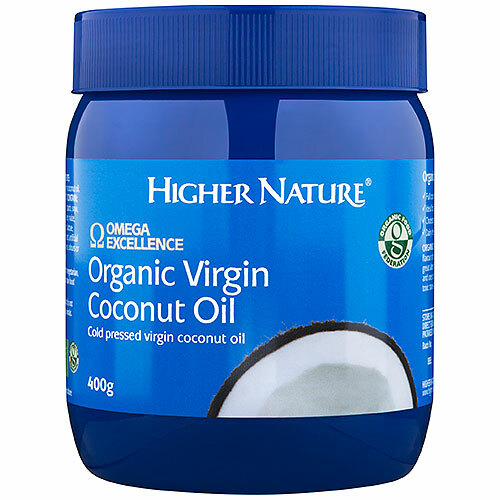 Virgin Coconut Oil has all the benefits of the non-virgin oil, but retains the full flavour and aroma of coconut. It is rich in medium chain triglycerides (MCTs), an excellent source of energy. Virgin Coconut Oil doesn’t raise cholesterol levels and is safe for cooking, as it is heat-stable. Use Virgin Coconut Oil instead of butter or margarine or try it in biscuits, cakes, muffins and pastry or add it to pancake batter. Excellent straight from the spoon. Use Virgin Coconut Butter instead of cooking oils, butter or margarine. Or try it in biscuits, cakes, muffins and pie-crusts or add it to pancake batter. Store in a cool, dark place, away from heat and direct sunlight. Best consumed within 3 months. Below are reviews of Omega Excellence Organic Virgin Coconut Oil - 400g - Best before date is 31st May 2019 by bodykind customers. If you have tried this product we'd love to hear what you think so please leave a review.